By Collins. Born to slave parents, young George was orphaned before he could walk. In his youth he fought poverty and throughout his life he battled prejudice. Yet George Washington Carver emerges as one of history's most remarkable men! How? 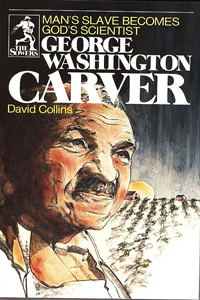 "The Lord has guided me," Carver was heard often to say. "He has shown me the way, just as He will show everyone who turns to Him." Carver declared, "Without my Savior, I am nothing." With his Savior, the Lord Jesus Christ, George Washington Carver was greatly used by God to discover countless numbers of scientific wonders and to lead a life which has inspired millions of Christians everywhere.